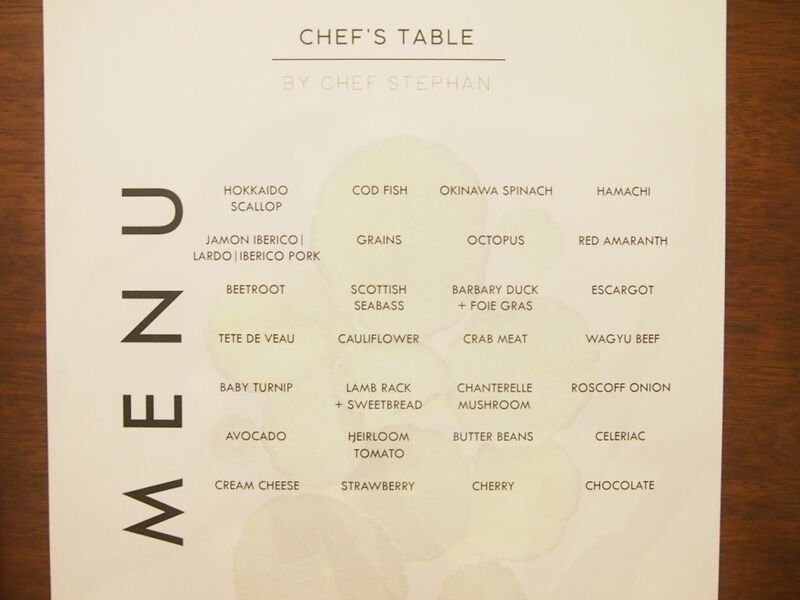 Chef Stephan has a wealth of experience, having traveled across the globe and completed stints in Michelin-starred kitchens. The Austrian chef shares the same cooking philosophy with Chef Lorenz and they work together closely to come up with new recipes daily. 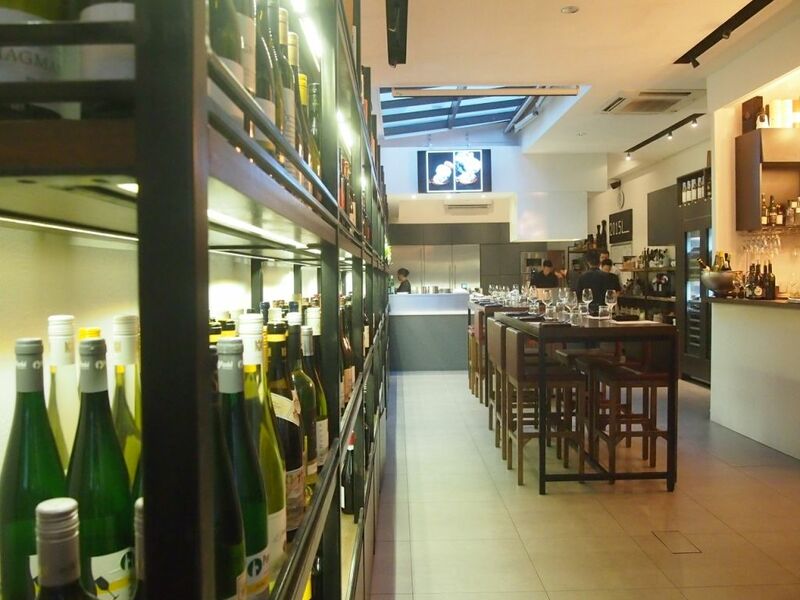 Boundaries are eradicated as the open kitchen encourages diners to visit the kitchen and find out more about a dish. 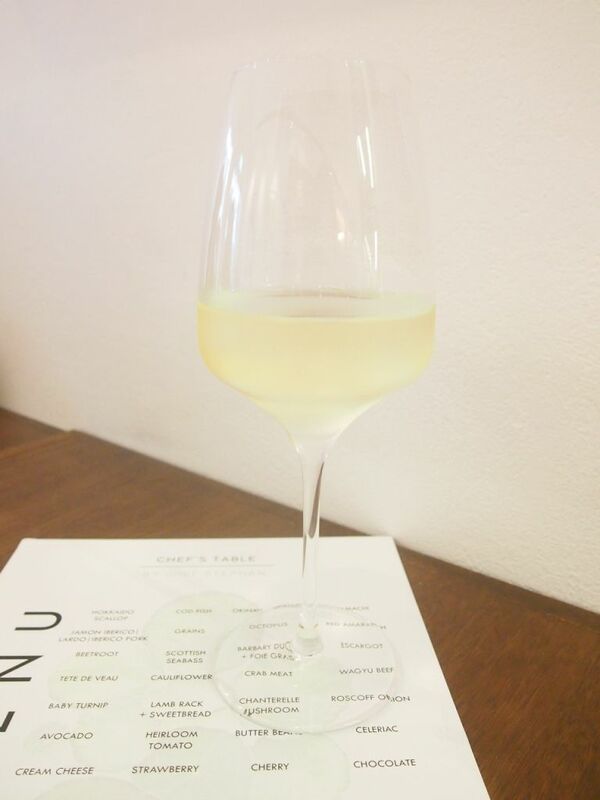 Nothing better than a glass of delicious white wine (Gruener Veltliner, Pike & Joyce, Adelaide Hills, Australia - $19+/glass, $92+/bottle) to kickstart the meal. You will never get the same dishes on a return visit as the chefs are always pairing different ingredients together and the menu is always changing. They do take note of the recipes that they have conjure up so if you happen to have fallen in love with a specific dish, you could always ask the chef if they could prepare it for you. If the ingredients are available, the chefs will definitely accede to your request. 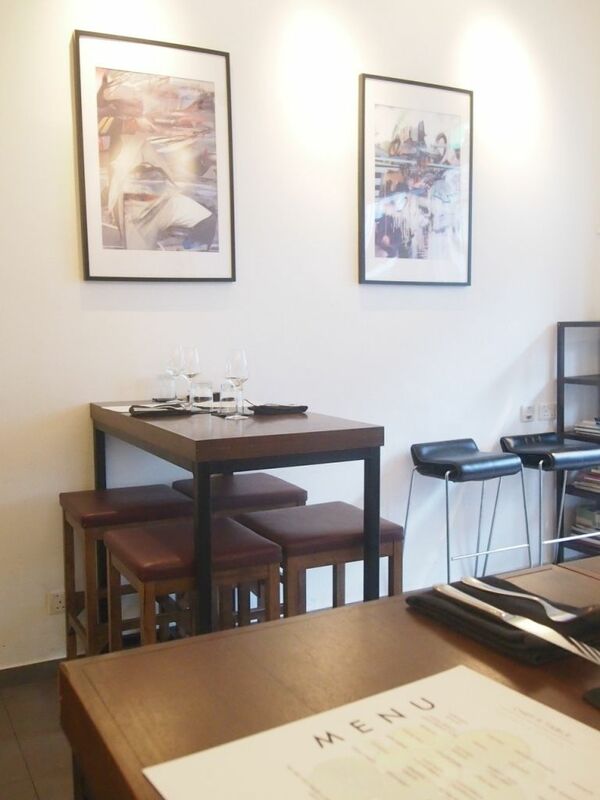 Diners can choose from a 4-course ($98), 6-course($128) or 8-course($150) dinner. 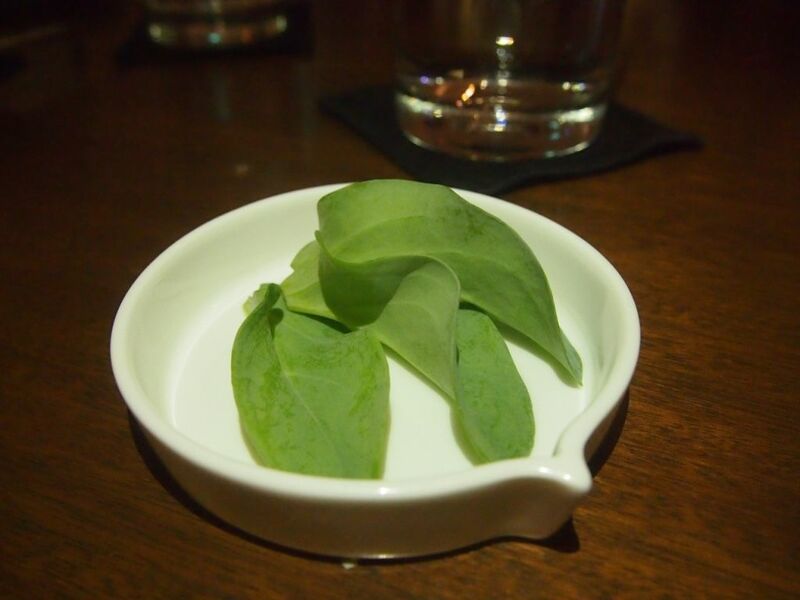 This unique leaf is called an oyster leaf because it tastes like oyster. It has that characteristic metallic taste present in oysters. We were instructed to have a leaf first before we take on the first course. The Crabmeat possessed a pristine freshness and sweetness and it was pure joy just savouring it. With it comes ikura and a cucumber and olive oil concoction. This dish was supposed to be topped with cucumber flowers but the chefs took it out because I don't take vegetables. I was also asked if I was okay with the cucumber mix so I said yes and it was actually surprisingly delicious with the crabmeat. 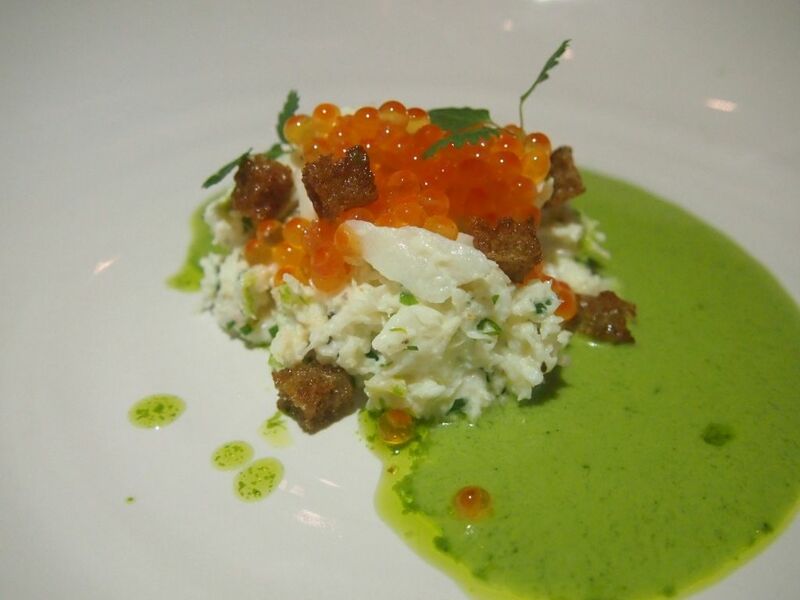 The dullness and bitterness of the cucumber actually complemented the crabmeat and salty bursts of the ikura incredibly well. 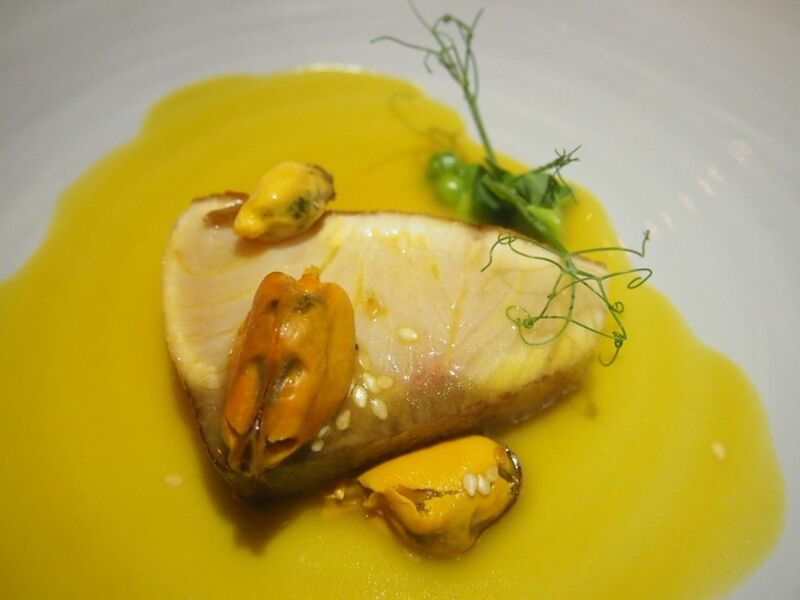 Here we have sashimi grade Hamachi lightly seared and doused in a saffron mustard sauce, accompanied with Bouchot mussels. The combination was an outstanding one. Not only was the hamachi beautiful and disarmingly delicious, the mussels also surprised me with a sweetness that I've never encountered before. That distinct and harsh taste of mussels was muted and complemented the entire dish impeccably. The freshness of the oven-baked Cod was unbelievable. The dish was just not a visual treat but it tasted heavenly. 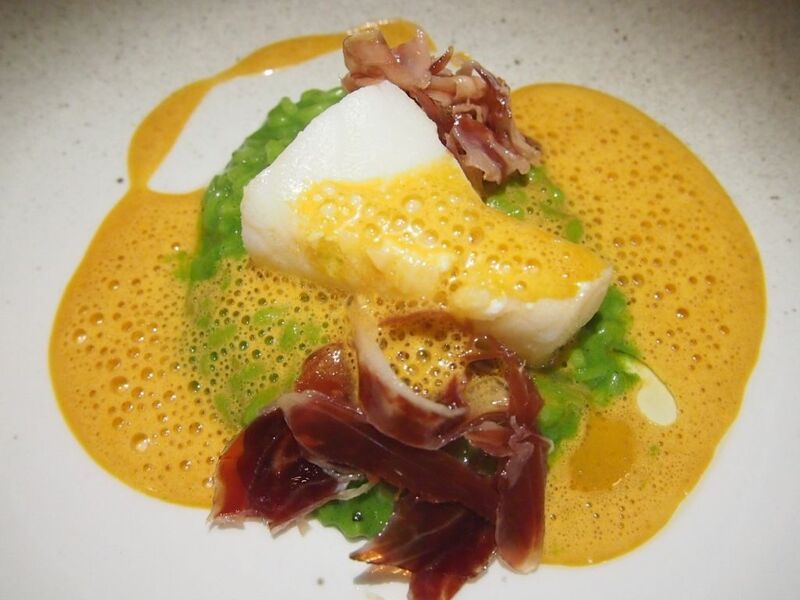 The exceptionally delish cod sits on a bed of spinach and parsley risotto, is paired with Iberico pork and bathed in a rich lobster stock. There seems to be too many ingredients and way too many flavours involved but they all worked amazingly well together. Absolutely flawless. 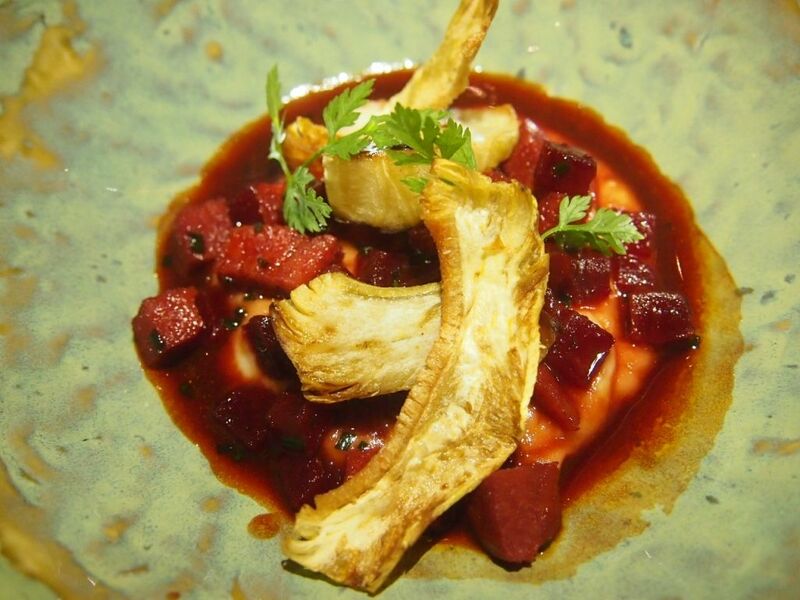 The smooth and creamy white butter bean puree was decorated with cubes of Veal tongue and drizzled in beetroot sauce. I was pretty skeptical about this at first but was taken aback by the medley of flavours. I even finished the braised and fried artichoke and cleaned up the entire plate! 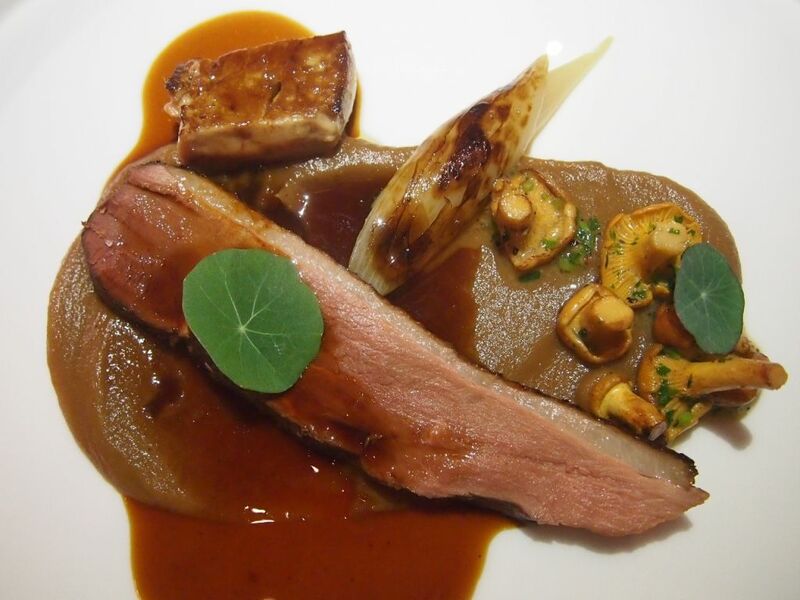 The slab of medium roast Muscovado Duck takes centre stage on a bed of caramelized onion sauce and is surrounded by a gorgeous piece of foie gras, adorable Chanterelle mushrooms and pretty Nasturtium leaves. 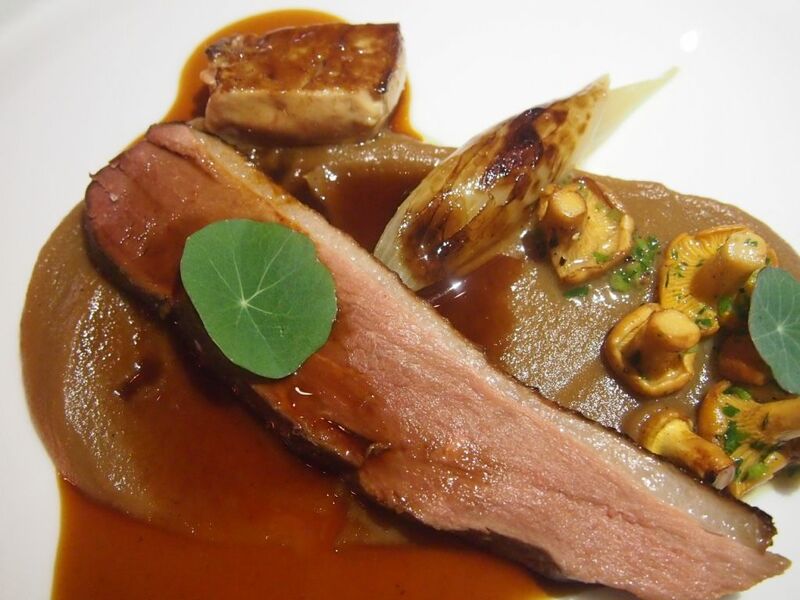 I really enjoyed the tender and firm duck which was armed with a nice layer of fat. Needless to say, the foie gras was fantastic and the mushrooms were also a joy to tuck into. 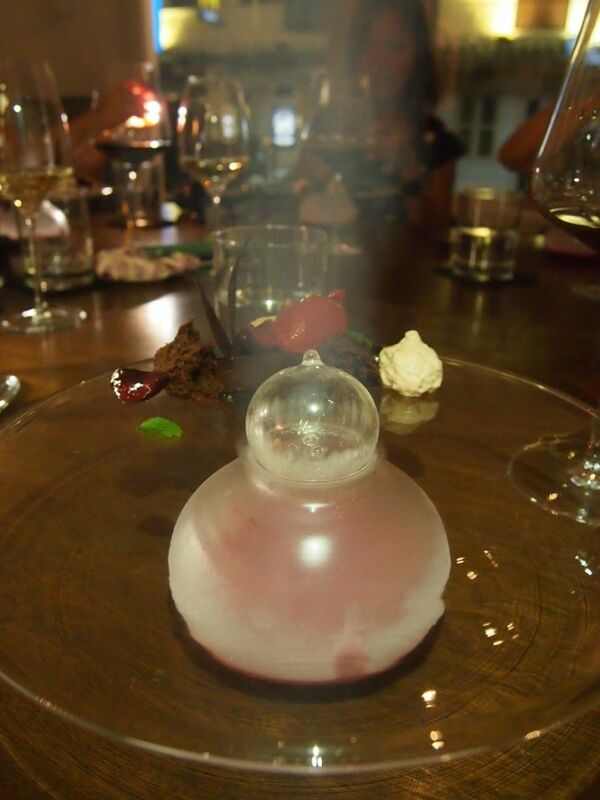 Our fascinating dessert came smoking, with a trembling sphere knocking against the one-of-a-kind plate. 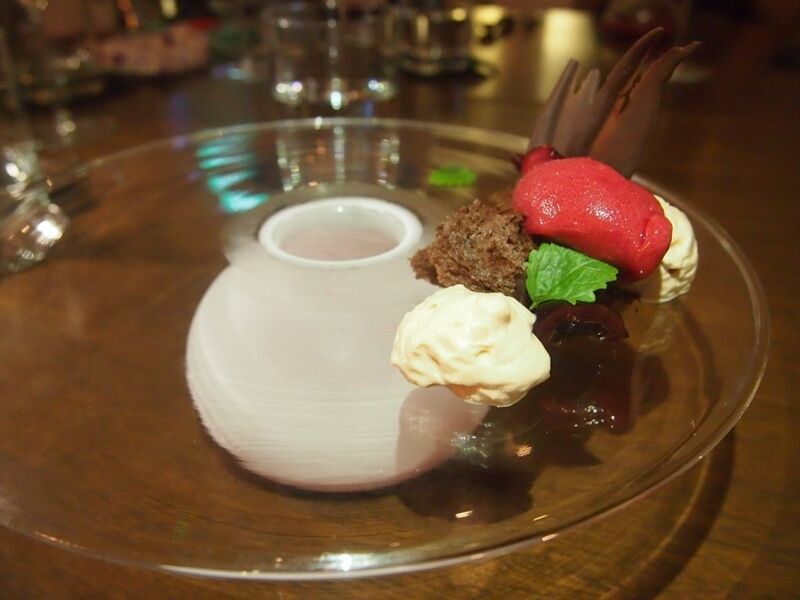 As the nitrogen escapes slowly, the shaking of the sphere slows along with it and eventually, the cherry red liquid in the bowl connected to the plate turns into sorbet. Their idea of a deconstructed Black Forest definitely takes the cake. I was so excited to witness the formation of liquid nitrogen sorbet! My six-course dinner at Chef's Table by Chef Stephan Zoisl is definitely one of the best meals that I've had on the little red dot. The creativity that goes into the preparation, the surprise elements, the superb service, the brilliance of the chefs in the pairing of flavours and usage of seasonal ingredients make the entire experience a really memorable one. I'll be back for sure!